On World Calligraphy Day, Manuscript Pen Company (MPC) UK hosted a world wide event at the Pen Museum in Birmingham, England, featuring in-house calligraphy classes for students. The event was buzzing with calligraphers and artists locally and across the world. 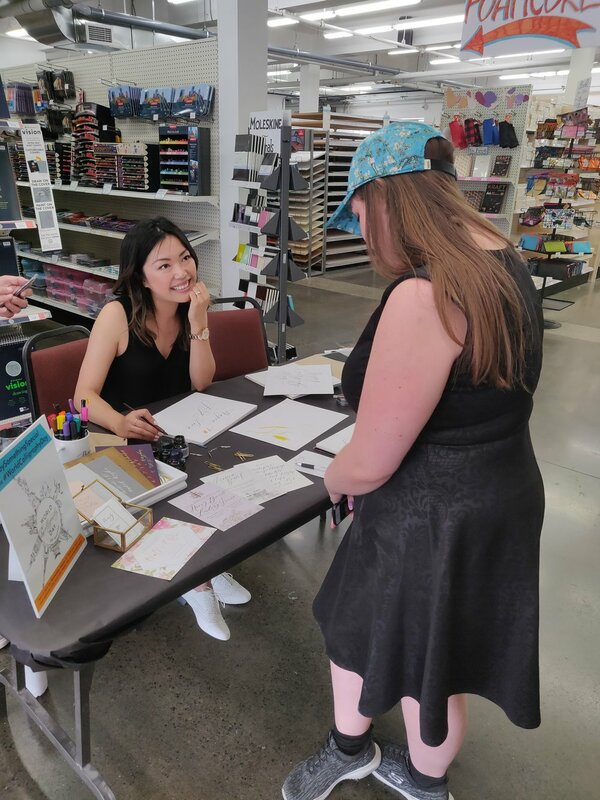 For this international event, MPC commissioned Mandy Calligraphy to perform on-site calligraphy in Toronto’s best art supplies store, Curry’s. The customers were able to request custom calligraphy notes written with MPC latest calligraphy collection. For more information on their latest pen holders, nibs and inks, visit Manuscript Pen Company’s website.